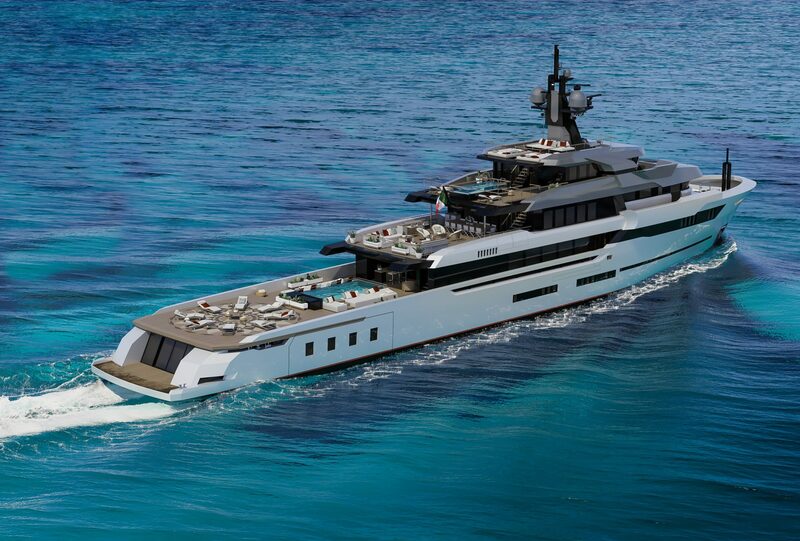 The Hot Lab 67 M Explorer by VSY is designed around a concept that is very faithful to the original explorer yacht concept but providing whatever a contemporary yacht is nowadays expected to offer. 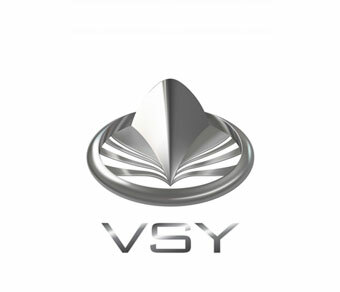 It is a modern project with that special Italian flair and sober elegance that aims to become a reference point in its category and represents the way VSY are opening up to new yacht concepts capable of incorporating a green mindset and an exclusive design, to flank their family yacht line. 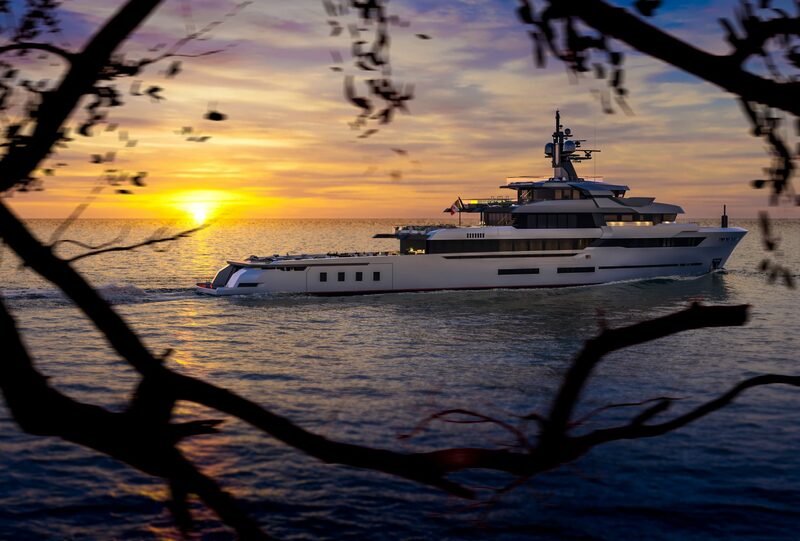 The yacht’s overall appearance features the typical superstructure of working boats (whether oceanographic, cable layers or fishing boats) positioned well forward, thus leaving large open spaces aft. The classic bow, instead of the widespread vertical plumb bows, as well as the wheelhouse wing stations, suggest a highly marine and faithful design approach to working boats and naval ships. The external layout, elaborate and coherent, is more modern. 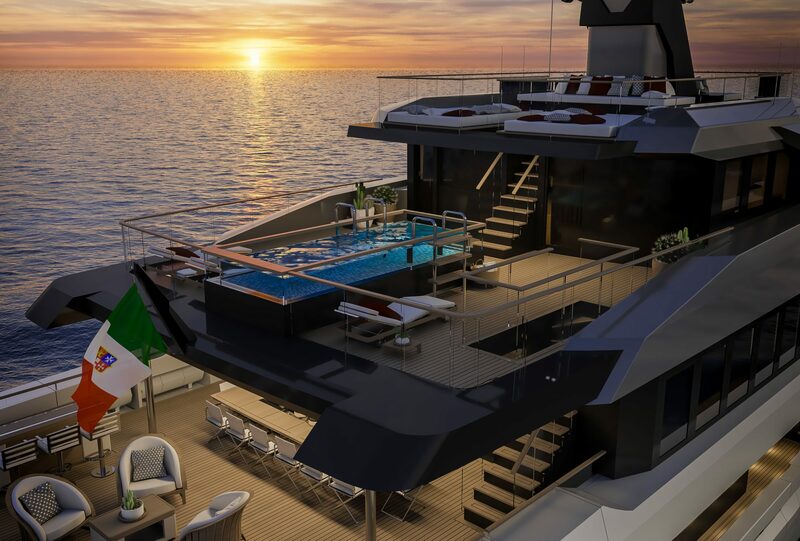 The transom does not foresee external stairs, as access aboard is by retractable gangway, while the vertically opening door connects the large beach club with the swimming platform. Two large doors serve as platforms and at the same time allow hauling the tender and toys. 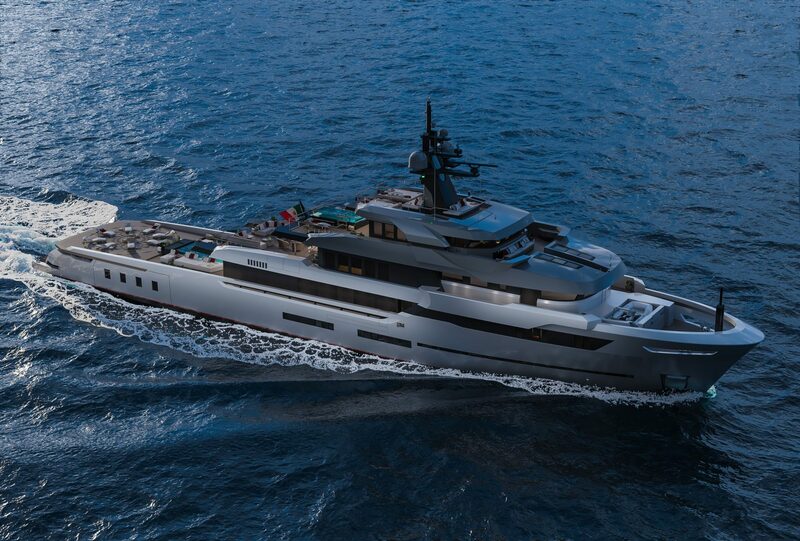 The main deck features a large pool and the aft part is completely flush and suitable for helicopter use when cleared of freestanding furniture. 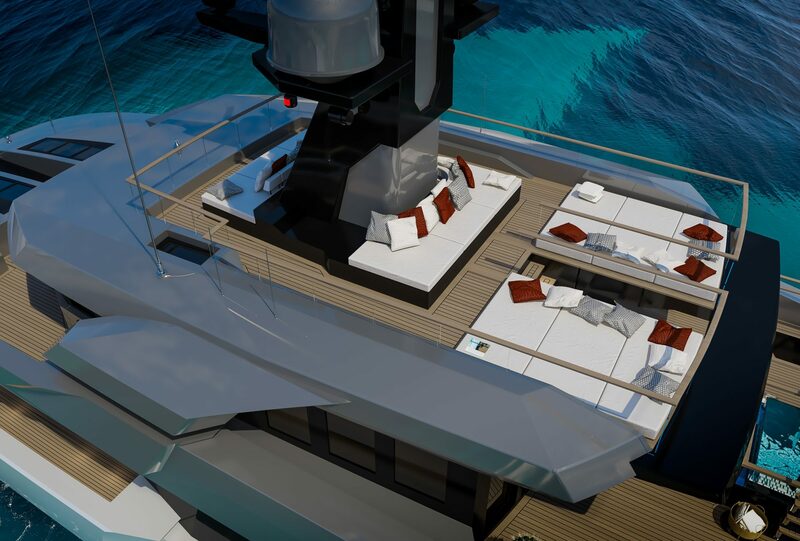 To facilitate take-off and landing operations, winches and other deck hardware are concealed beneath the main deck, whereas access to the beach club area from the main deck is provided by a large hatch. 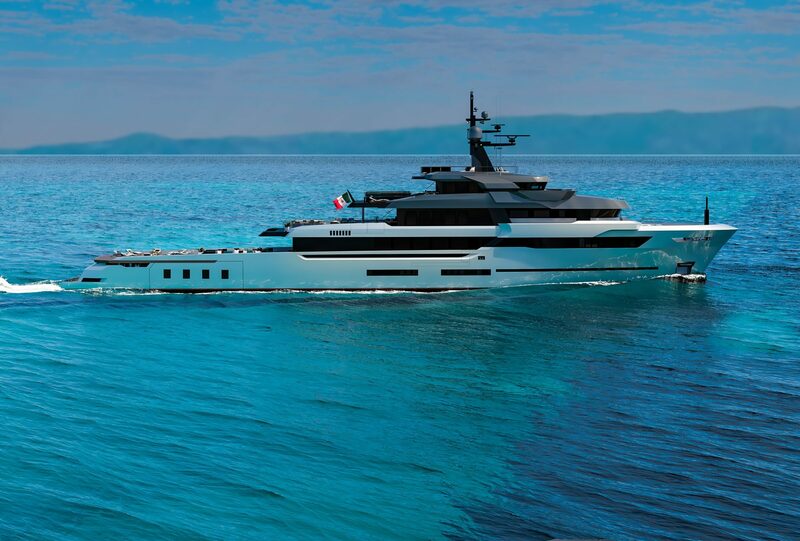 According to the Italian studio Hot Lab, who developed the whole project, the play on alternating full and empty spaces – as one climbs from one deck to another in the beautiful superstructure – is probably the most characteristic stylistic feature of the exteriors on this yacht. 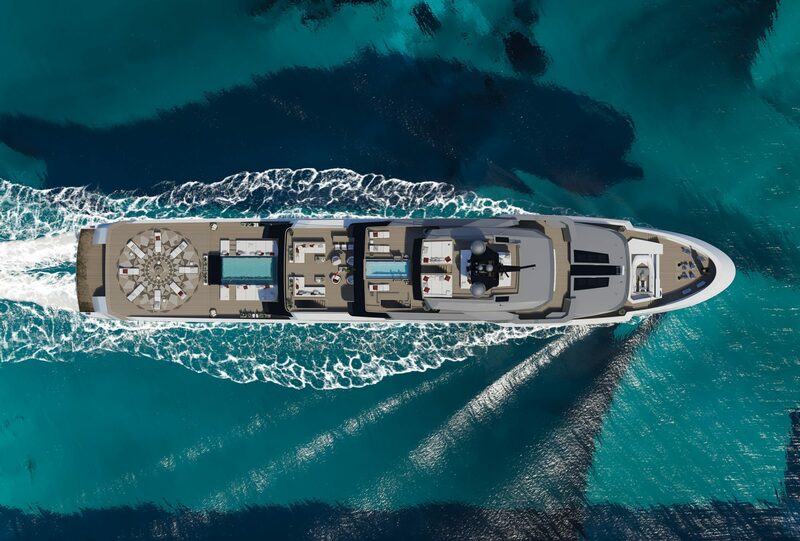 The wing stations are deliberately voluminous and functional, as they facilitate mooring manoeuvres, but at the same time are a tribute to the working boats that the Explorer yachts category draw inspiration from. 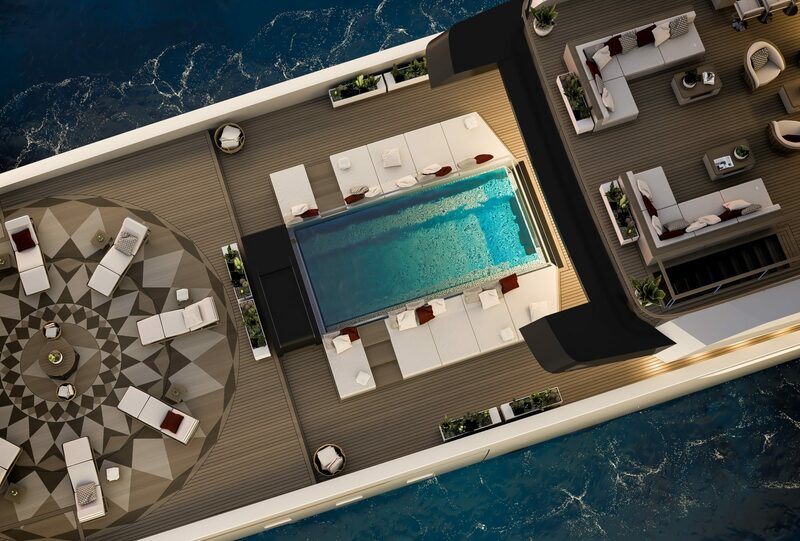 The infinity pool behind the wheelhouse, far from indiscreet eyes, creates an intimate and scenic panoramic point. 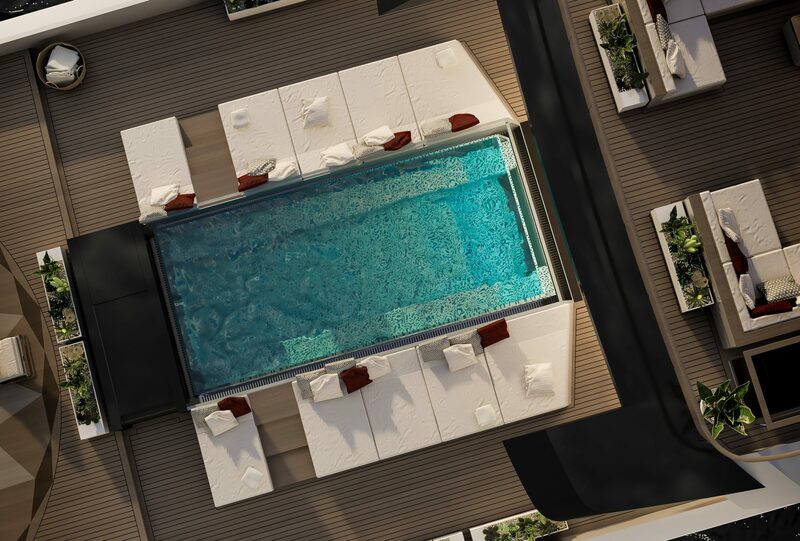 At the top of the superstructure, just in front of the instrument mast, there is a small panoramic sundeck: a tribute to the crow’s nests from the legendary age of sail. 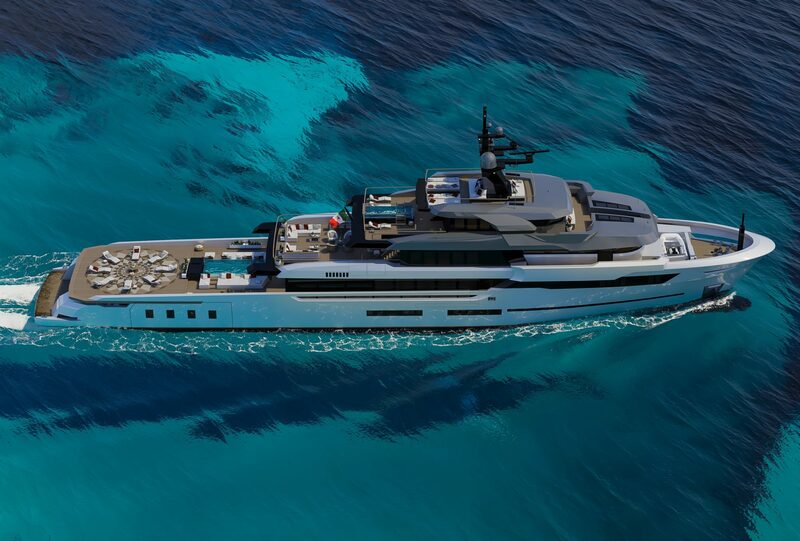 The interior layout of the Hot Lab 67 M Explorer by VSY is fairly classic and are the result of painstaking studies aimed at optimally balancing outdoor and indoor spaces with the volumes of the yacht. Two layouts are on the drawing table, with either six or seven cabins all told. 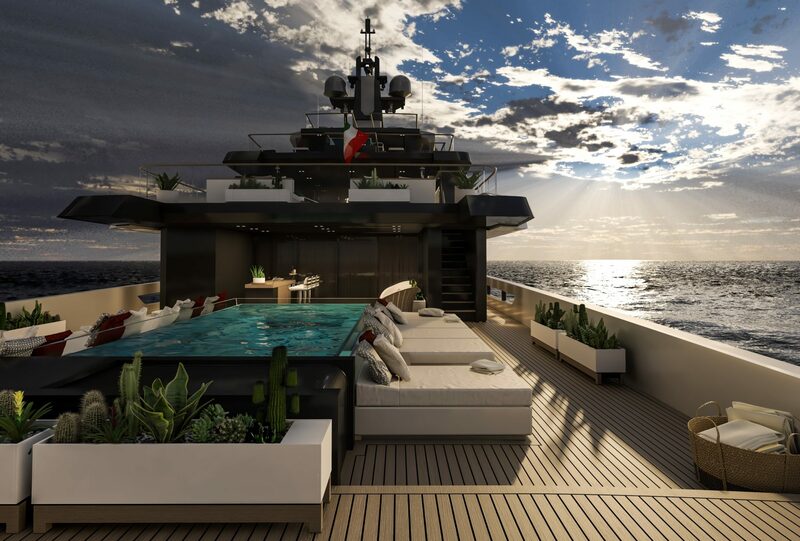 The common denominator is represented by the presence of large windows on three of the four decks, which literally flood the interior with natural light. Other characteristic features are the owner’s suite, located at the forward end of the upper deck with a breath-taking 180-degree view over the sea, private studio and two dedicated bathrooms for him and for her, a sky lounge with glazed windows on three sides, a panoramic gym located on the bridge deck and an oversized beach club that, whilst the tender and the toys are at sea, becomes an area fully devoted to relaxing and wellness.